For starters, the Shine Dalgarno sequence isn’t normally present in Eukaryotic DNA even for homologous genes, not to mention before the mRNAs are formed, eukaryotic genes homologous to prokaryotic genes have to have their spliceosomal introns spliced out. Next it is readily apparent the initiation complexes and sequence of steps are different. If eukaryotes evolved from prokaryotes or if both evolved from a common ancestor, then how did changes in life critical steps emerge without killing the organism? Clearly there are life critical parts. The prokaryotic initiation is simpler, so how did the more complex eukaryotic system evolve. 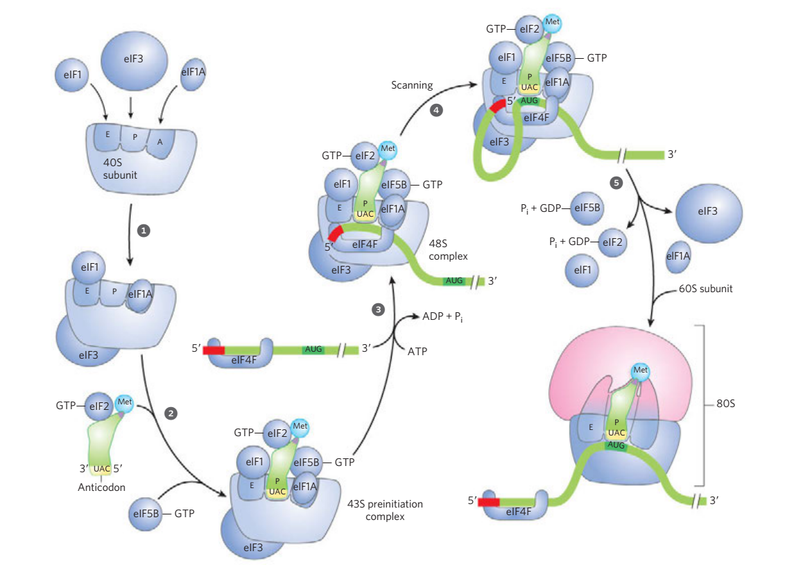 First notice the different order of the IF-3 and IF-1 factors binding to the E and A location on the 30S subunit vs. the eIF1, eIF3, and eIF1A binding to the E, P, A locations on the 405 subunit. I pointed out he was kind of sketchy on the details of the process of evolving the single loop system of most fish to something like the double loop system of lungfish. Not the least his problems was accounting for a lung that is connected to a heart. 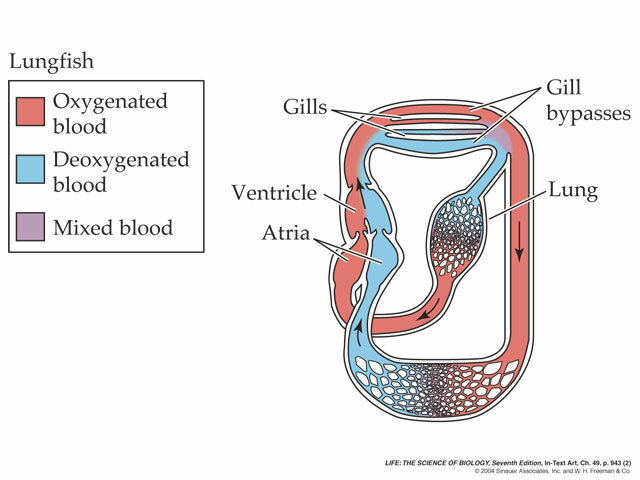 If he cites the lungfish system as a transitional to other creatures, he may as well invoke special creation since he’s citing organs like the lung connected to a heart that pop into existence out of nowhere. A real transitional or set of transitionals would be smooth evolutionary between the single loop system and the double loop system. The Liars for Darwin blog is for defenders of “science” and “reason” who are tired of getting banned and moderated from creationist websites. Here at Liars for Darwin, creationists can post and advocate their ideas in the OP articles, but unlike other blogs, defenders of “science” 🙄 are free to speak their mind in defense of evolutionism and materialism in the comment section. Although truth in the comment section is welcome, also welcome are lies, falsehoods, obfuscation, spam and swarm tactics, misrepresentations, misinterpretations, non-sequiturs, equivocations, ad hominems, red herrings, off-topics derailments, trash talking and outright lies, etc. Sockpuppets and Trolls are especially welcome to participate. Why is there no creationist Isaac Newton?